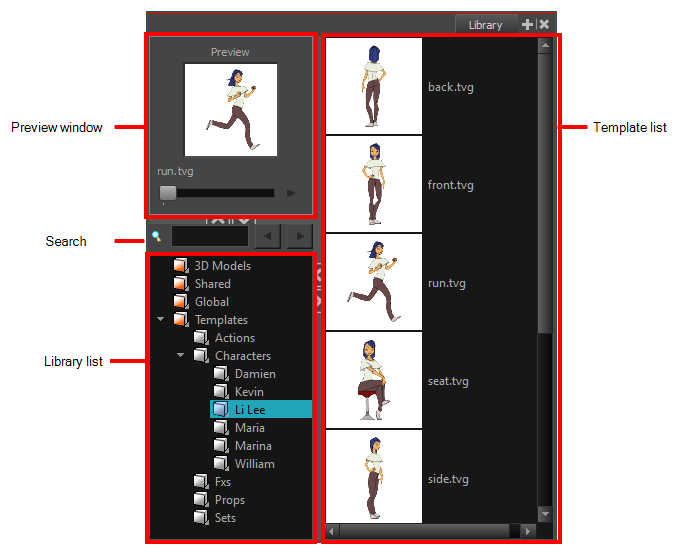 The Preview window of the Library view lets you preview the contents of the selected template. 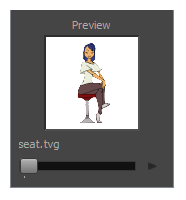 Audio files cannot be previewed in the Preview window of the Library view. Global: This is an empty folder you can use to organize your templates. This library is automatically shared between different projects. You can organize this library folder using subfolders. When you save items in the Global library, it is saved by default to a location in your Documents folder on your machine. 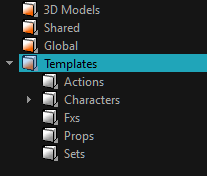 Templates: This folder contains default templates provided with Storyboard Pro and is stored on your hard drive. The content of this Library is automatically shared between the different projects. In the Library view’s right side, right-click and select View > List, Thumbnails or Details. 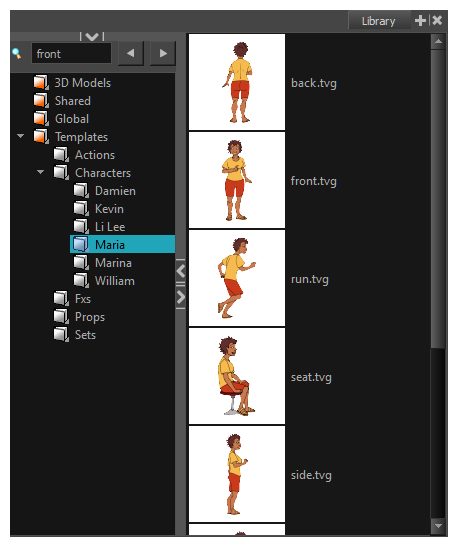 ‣ In the Panel view, click the Add View button and select Library.